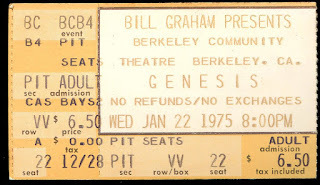 same week.These were both great concerts. 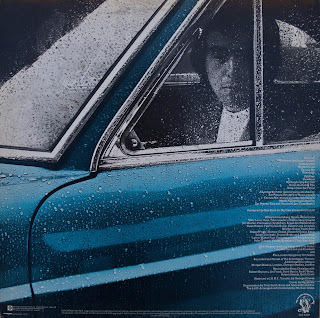 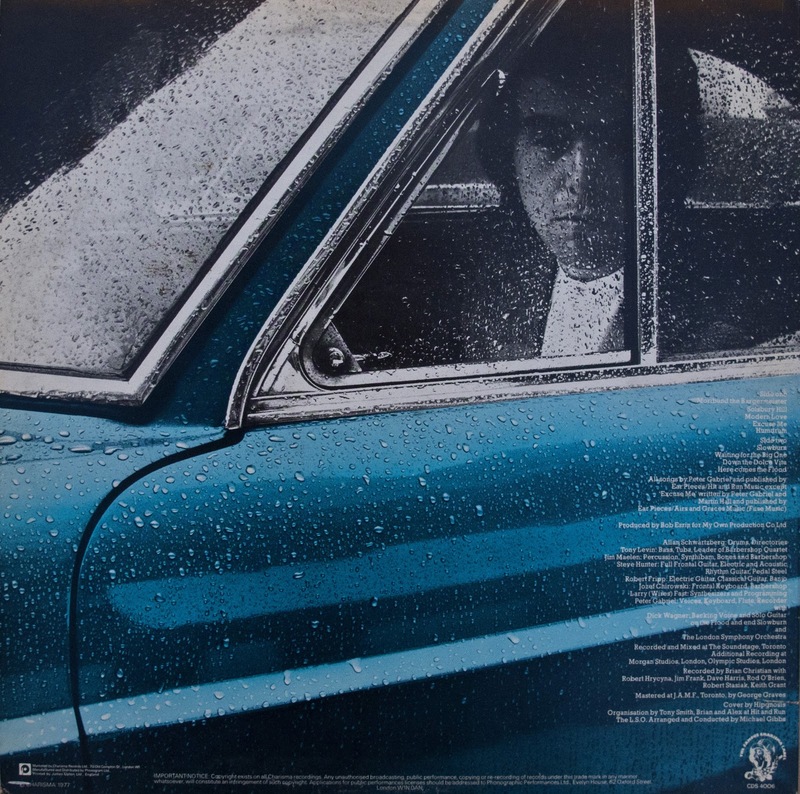 his classic LP, "Between Today and Yesterday". 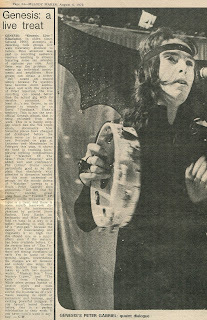 We saw him perform at The Great American Music Hall in SF. 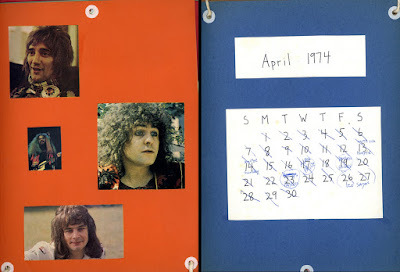 We saw Leo Sayer at the SF Boarding House the following week. 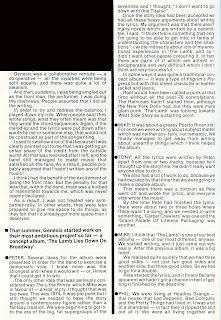 Leo gained recognition from Roger Daltry's first solo album. 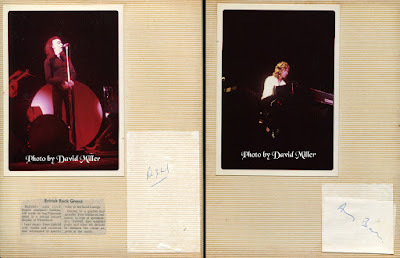 Being an unknown, he allowed Daltry to record his songs. 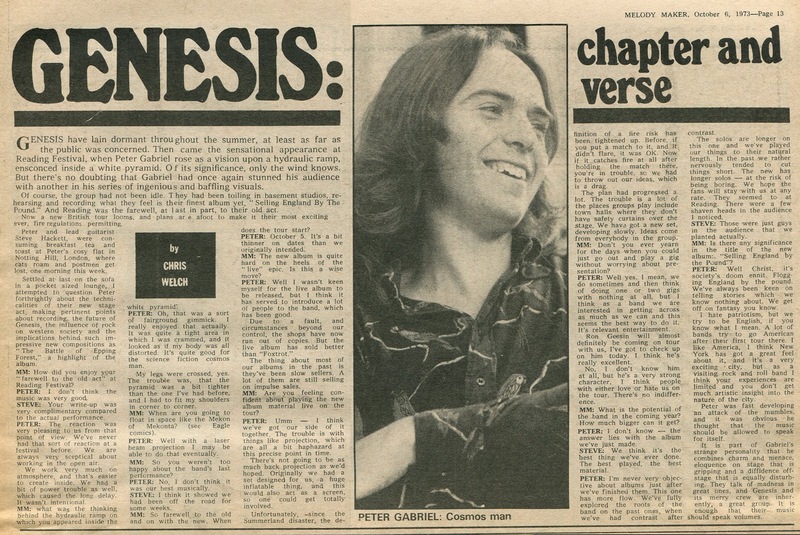 Peter Gabriel and Tony Banks were students at Charterhouse School in Godalming, England in the mid-60s. 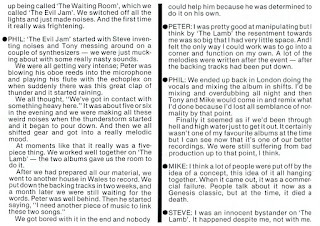 They formed school bands, Garden Wall and Anon. 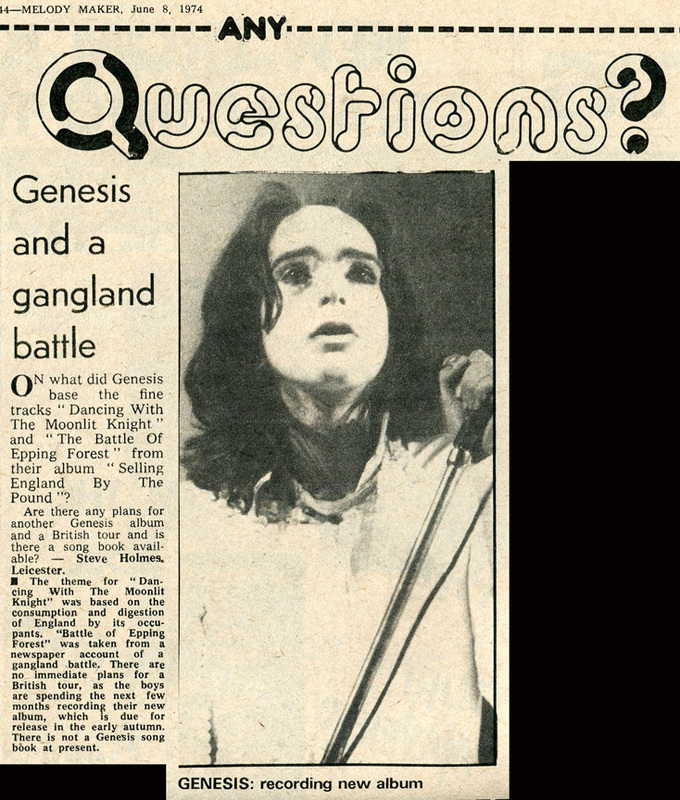 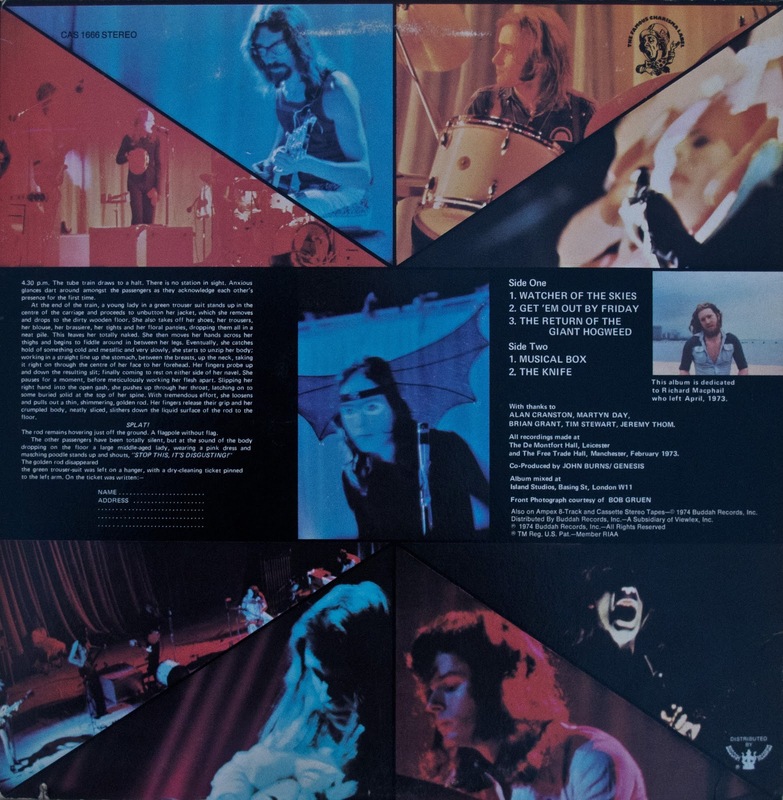 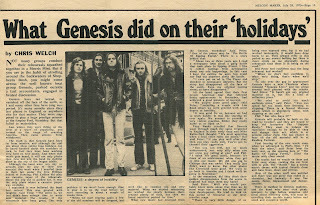 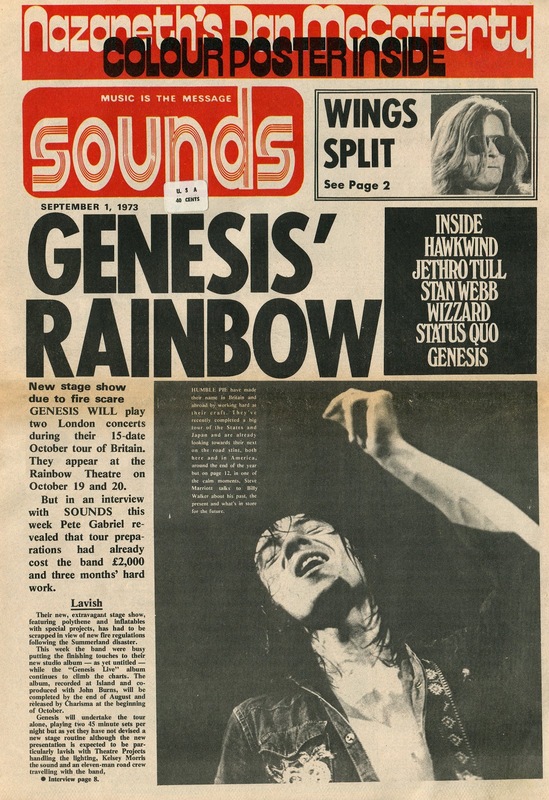 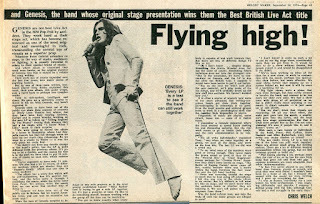 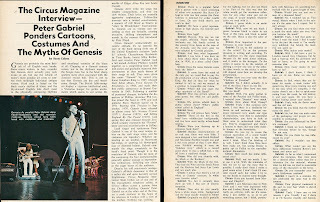 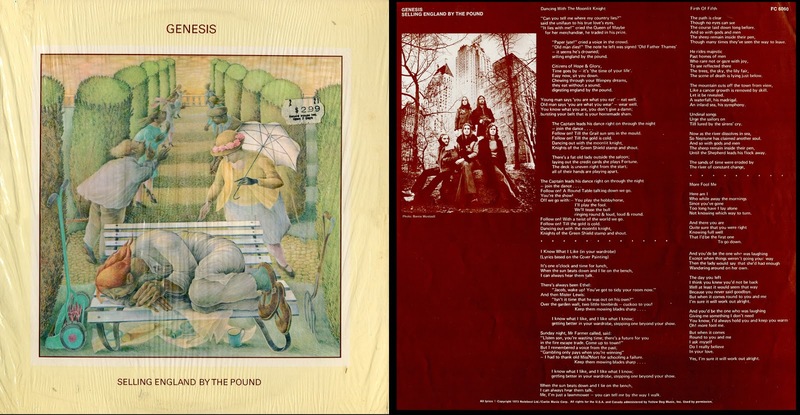 Songwriter-producer, Jonathan King, (who had the hit, “Everyone’s Gone To The Moon”), discovered them and named them Genesis, after the name Gabriel’s Angels was rejected. 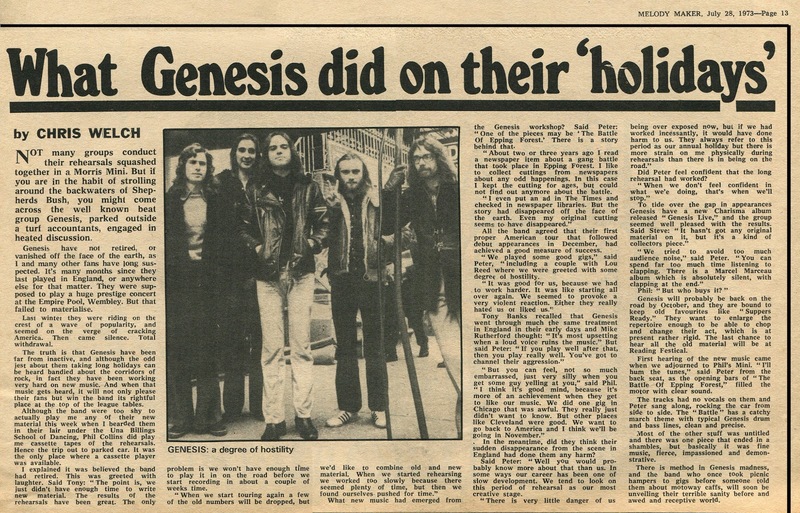 King produced their first album, “From Genesis To Revelations”. It was not successful. 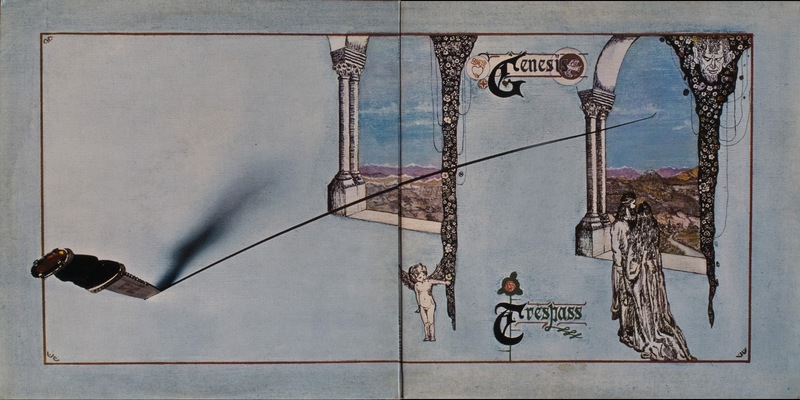 Changes in the band and producer were made which led to their second and more successful album, “Trespass”. 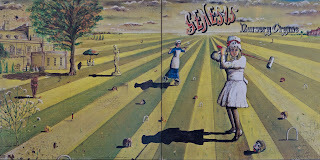 Their next albums, “Nursery Cryme” and “Foxtrot” put them near the top of the progressive rock genre in the early 70s. 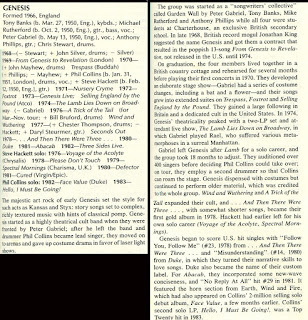 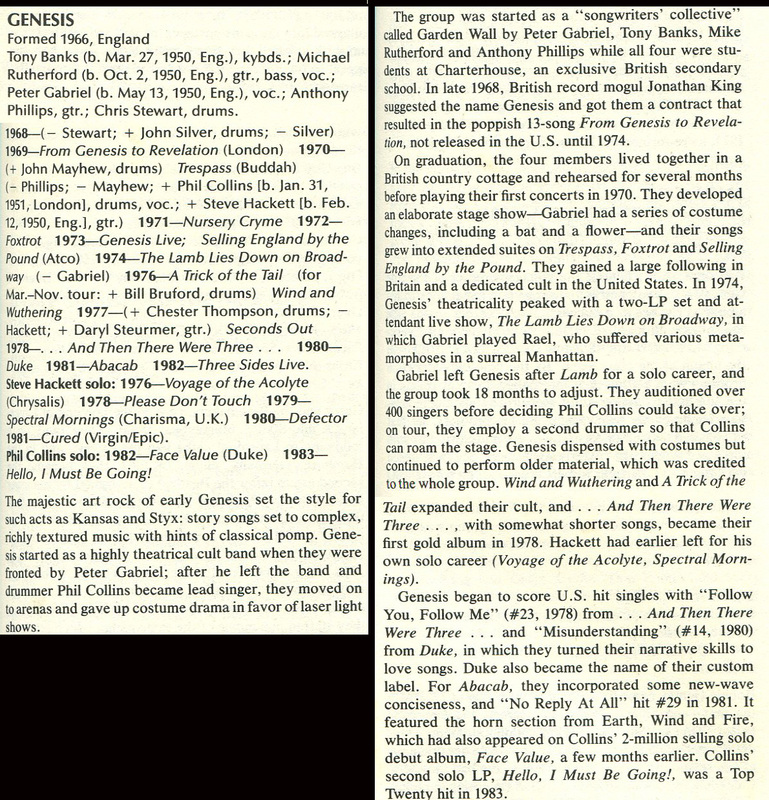 They recorded two more albums with Peter Gabriel, “Selling England By The Pound” and “The Lamb Lies Down On Broadway”. 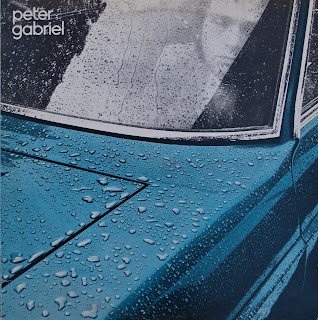 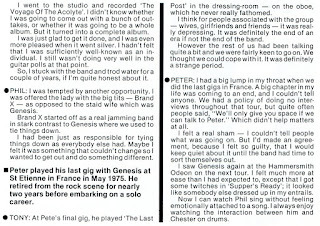 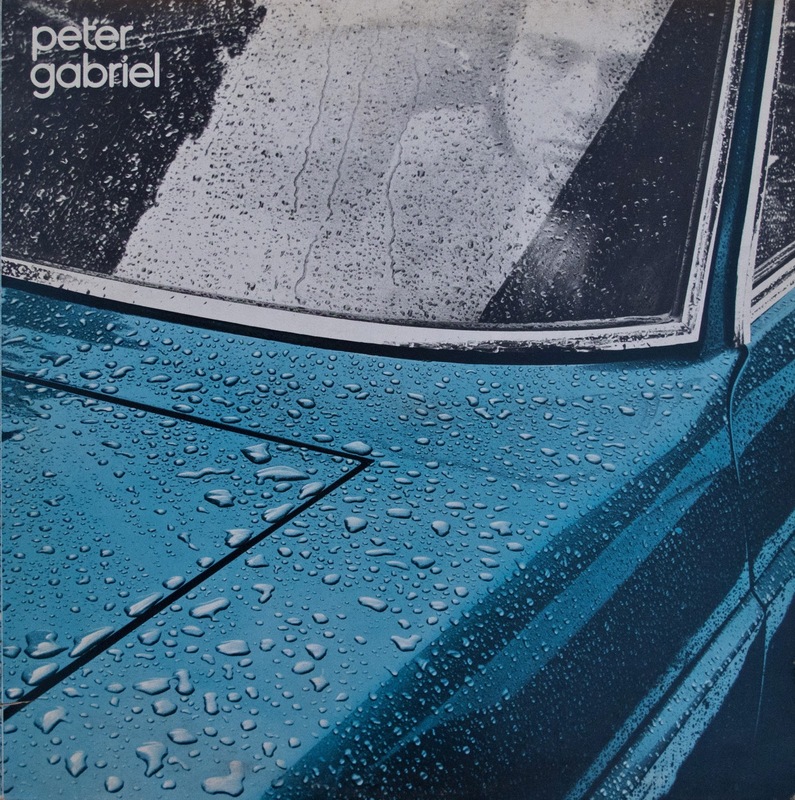 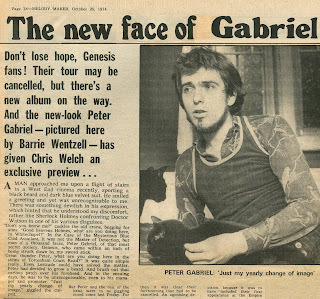 Peter Gabriel then left to record solo. 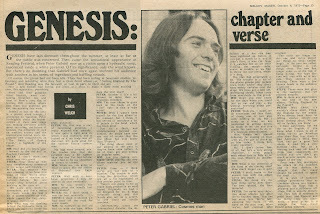 Genesis continued on with drummer, Phil Collins, taking lead vocal. 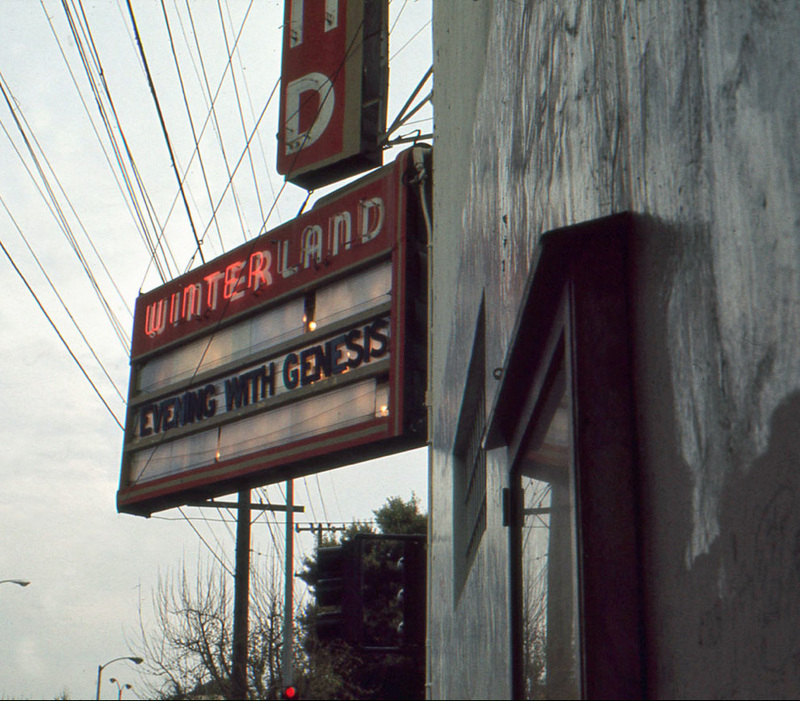 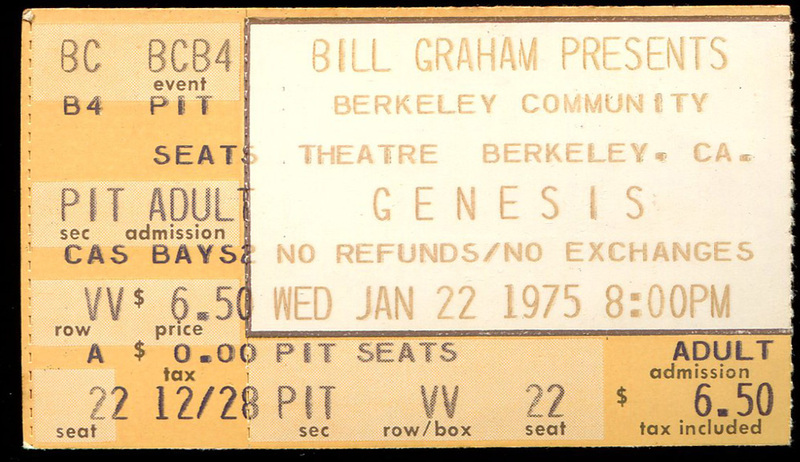 and January 22, 1975 at the Berkeley Community Theater. 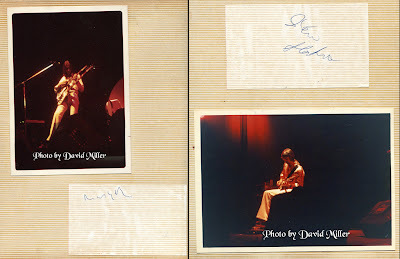 The pages of my scrapbook below. 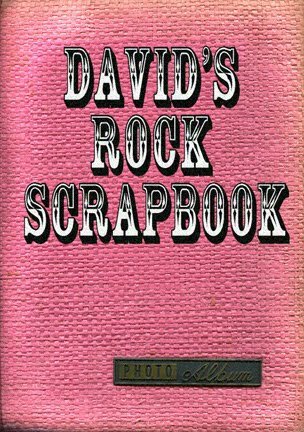 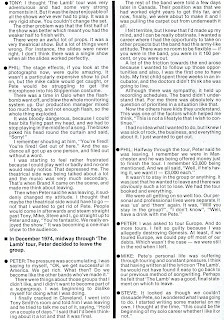 Of Rock & Roll" © Rolling Stone Press 1983. "Selling England By The Pound". Melody Maker - July 28, 1973. 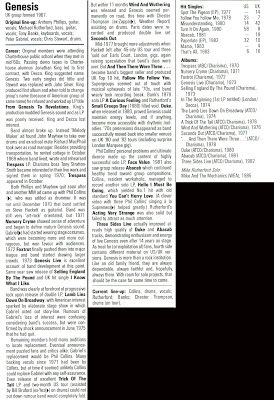 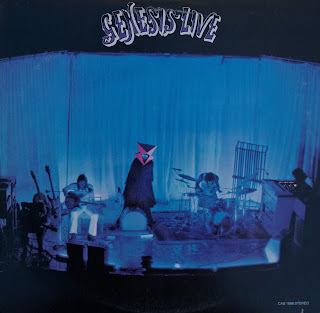 Their live album is reviewed. 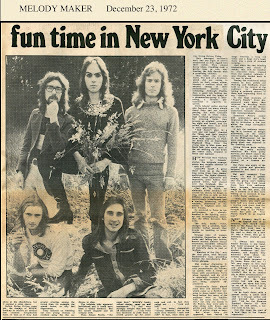 Melody Maker - August 4, 1973. 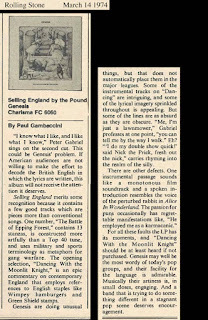 "Selling England...", and their future. 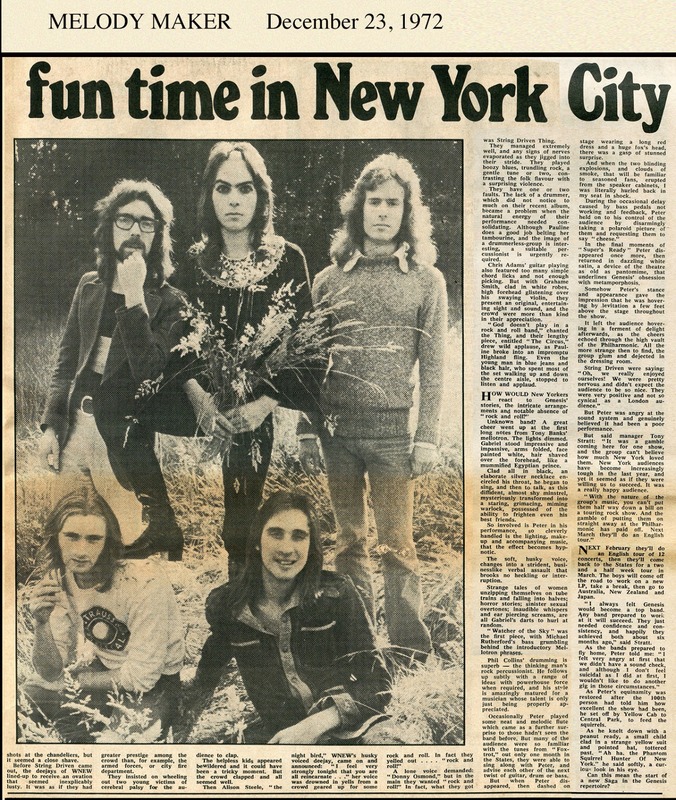 Melody Maker - October 6, 1973.
of the West Coast in the US. 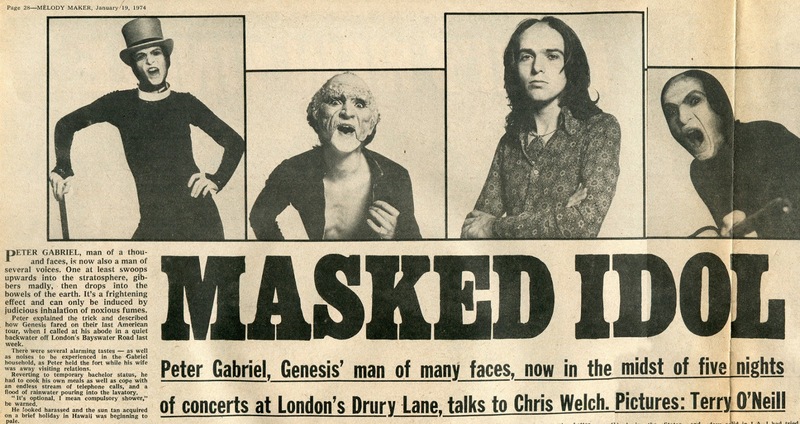 Melody Maker - January 19, 1974. 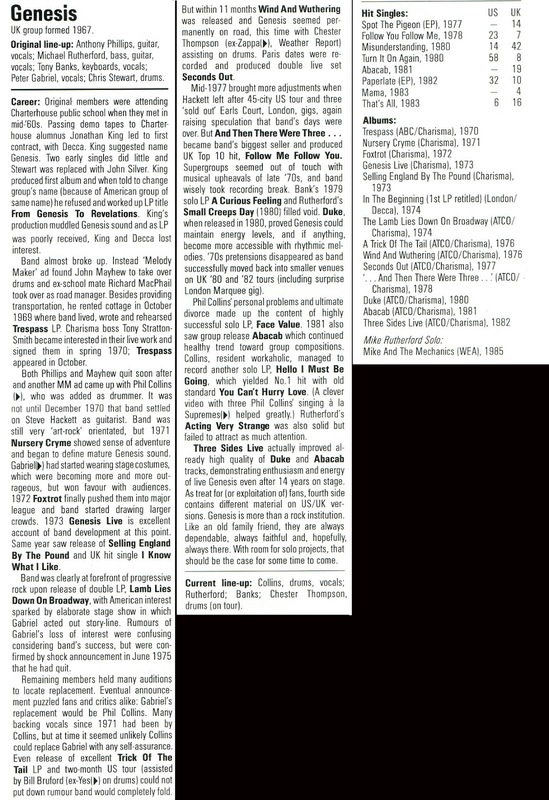 By The Pound" is reviewed. 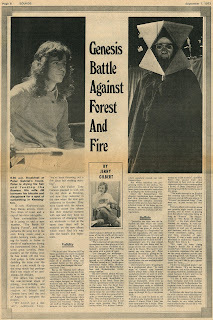 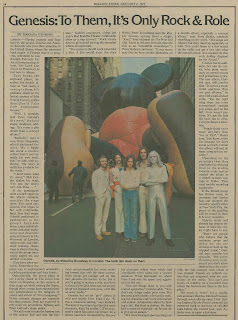 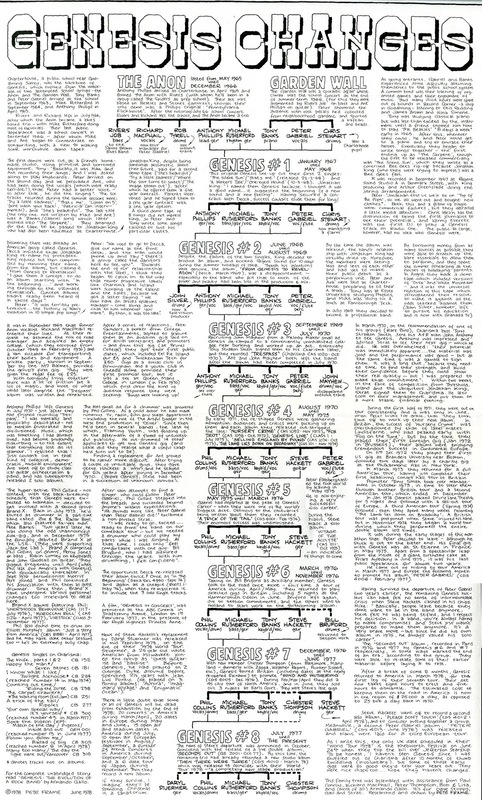 Rolling Stone - March 14, 1974. 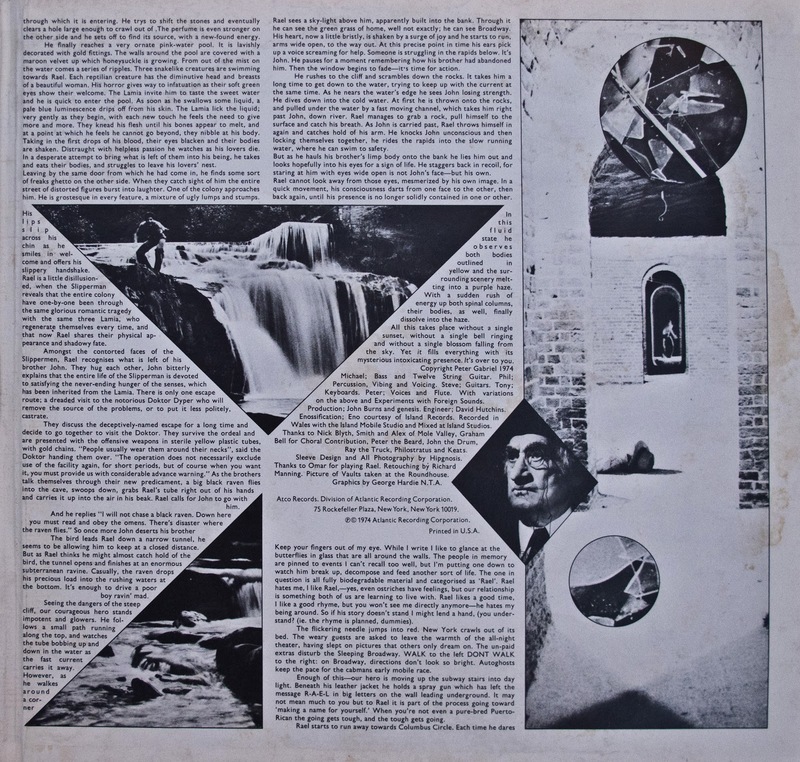 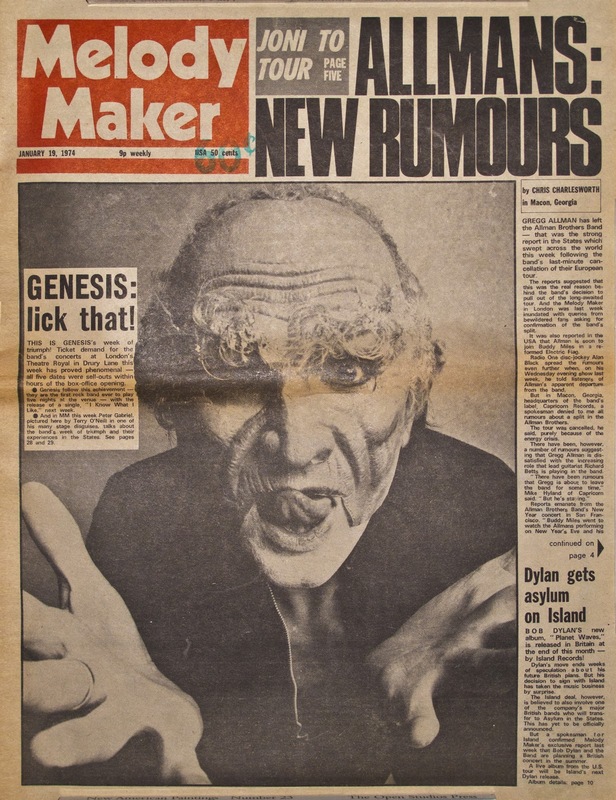 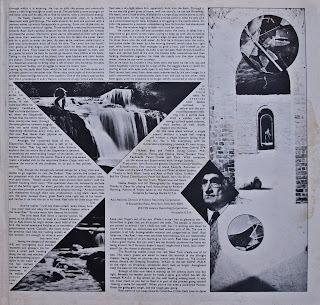 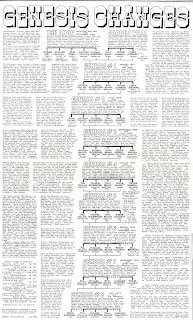 Maker - May 25, 1974. 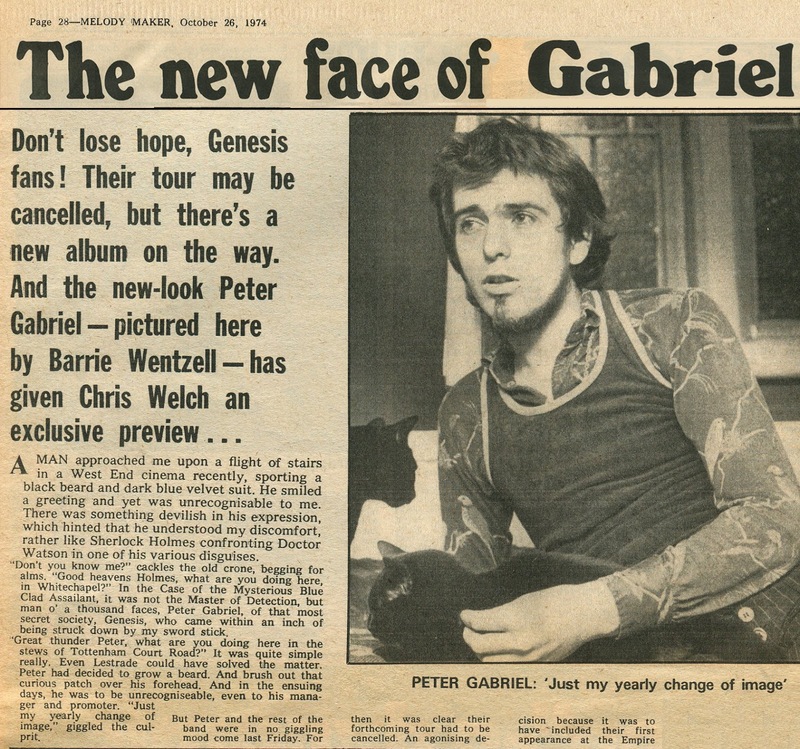 Melody Maker - June 8, 1974. 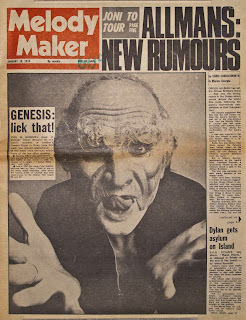 Melody Maker - July 20, 1974. 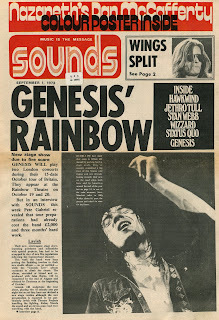 Melody Maker - September 28, 1974. 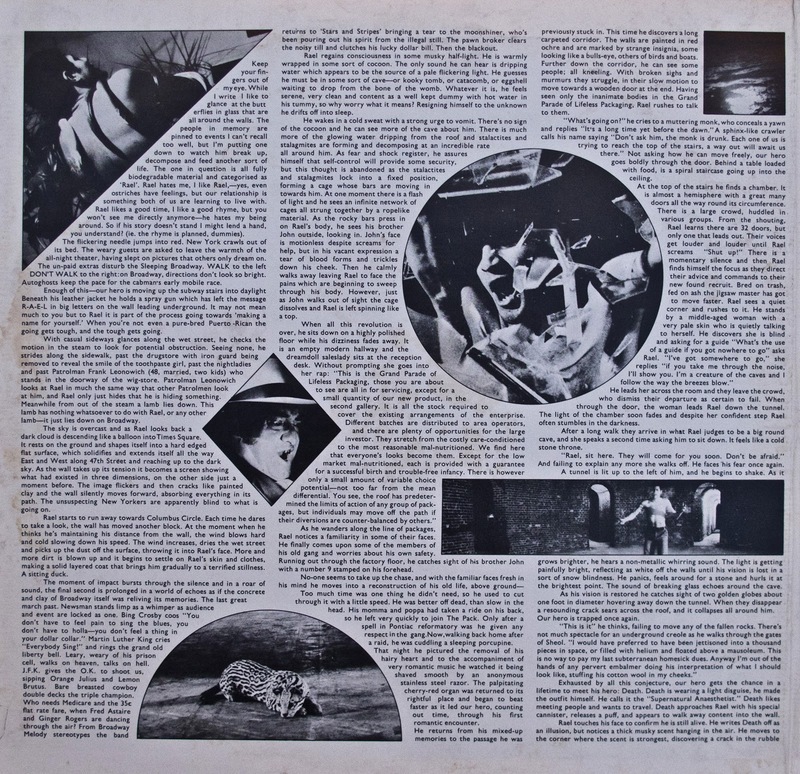 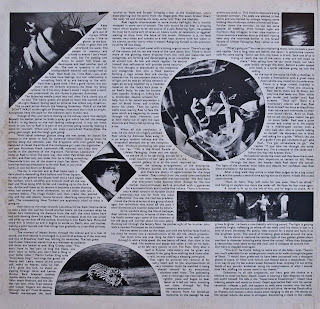 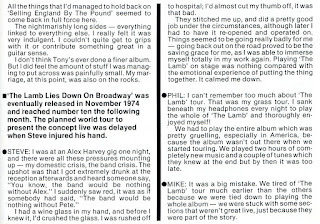 "The Lamb Lies Down On Broadway"
to an injury to Steve Hackett's hand. 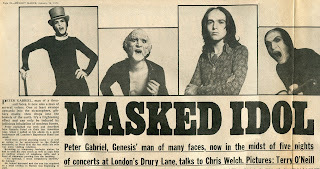 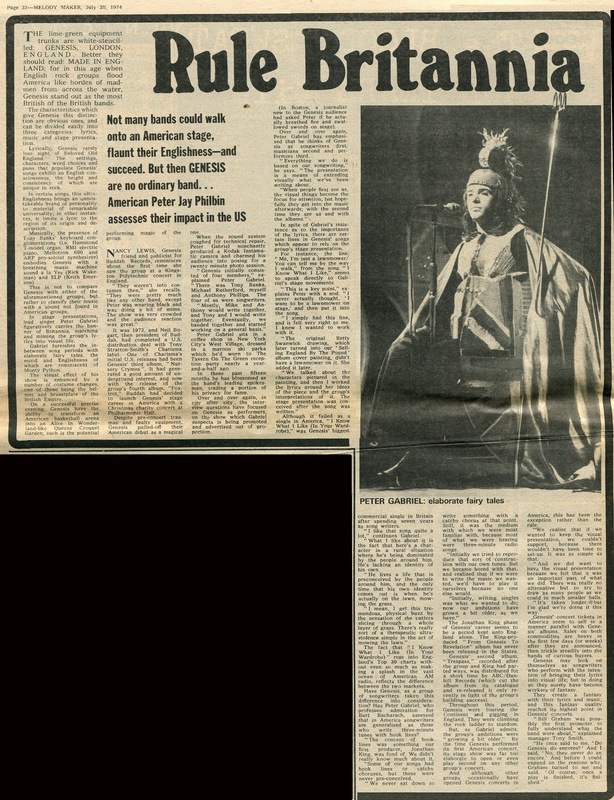 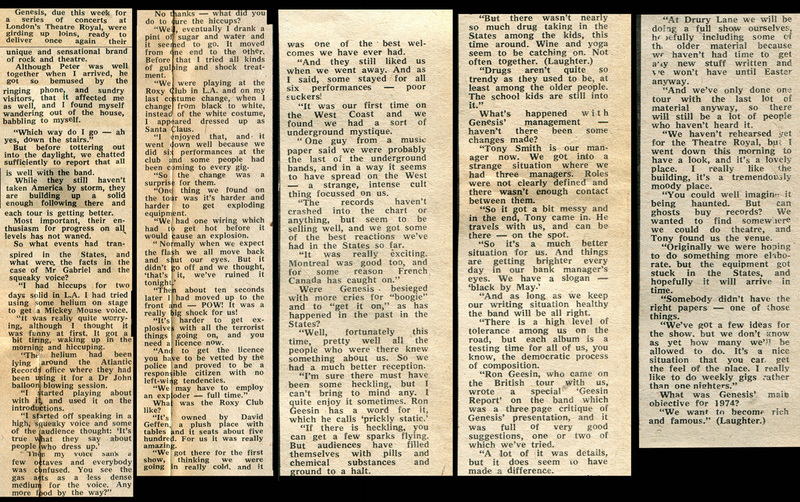 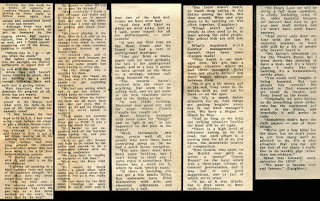 Melody Maker - October 26, 1974.
early days, the music, the costumes, politics, etc. 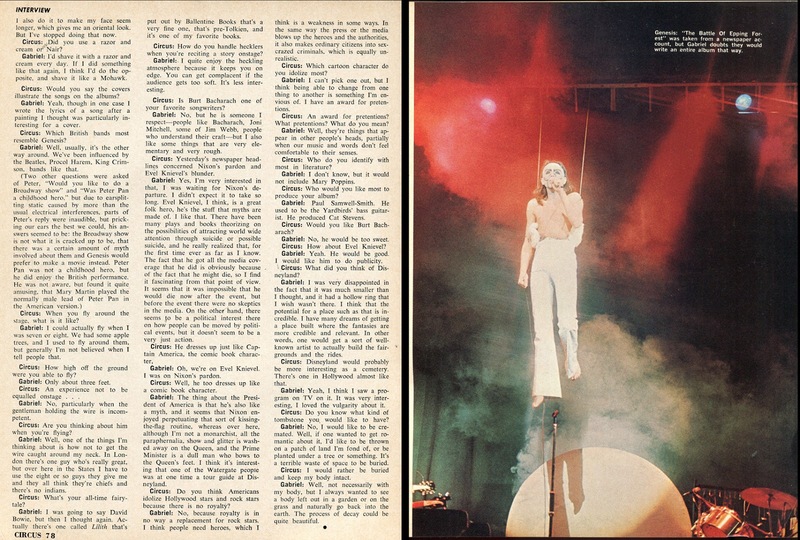 Circus Magazine - December 1974. 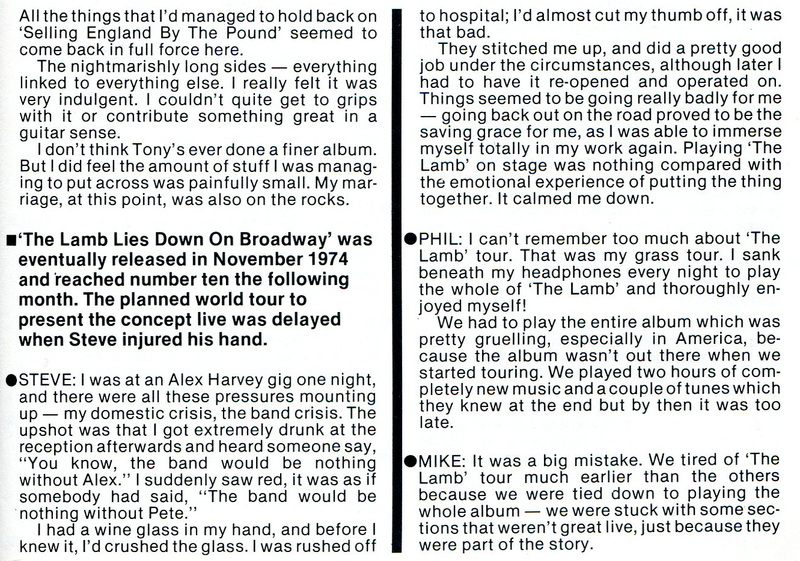 "The Lamb Lies Down On Broadway". the costumes and other theatrics. 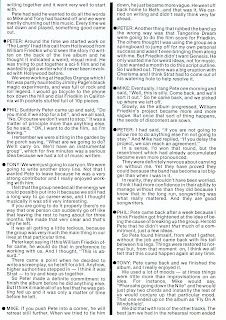 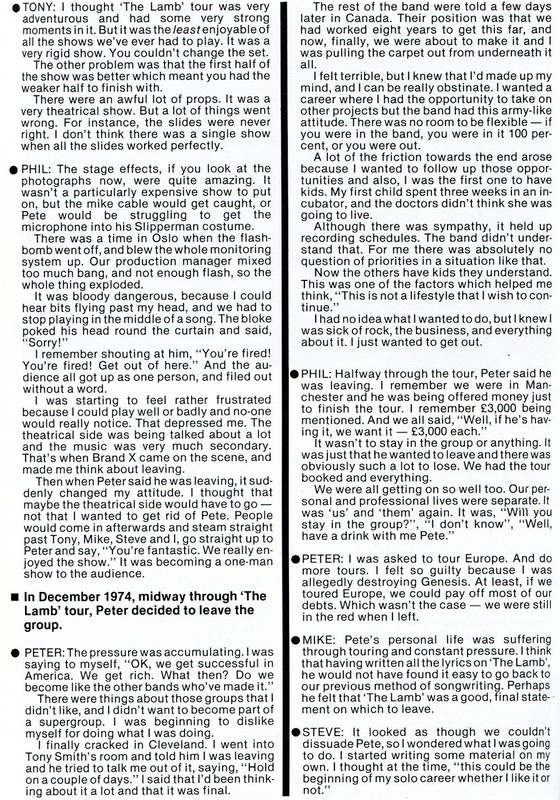 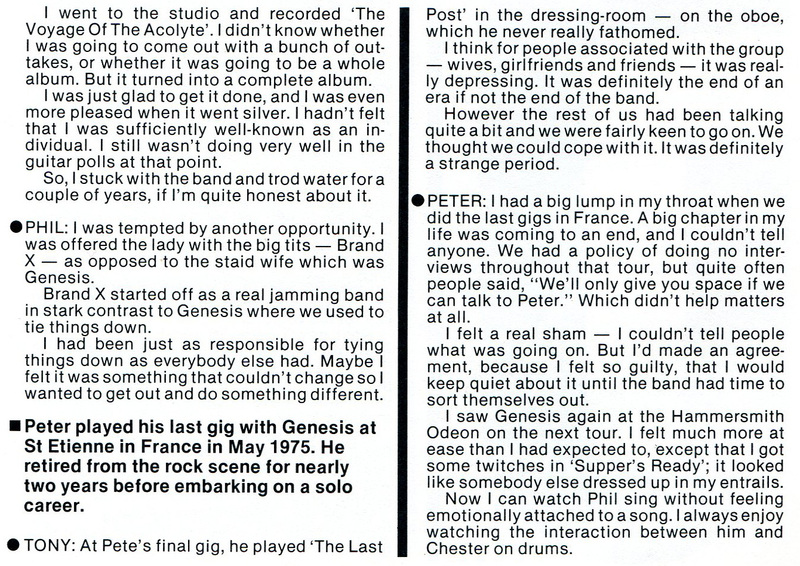 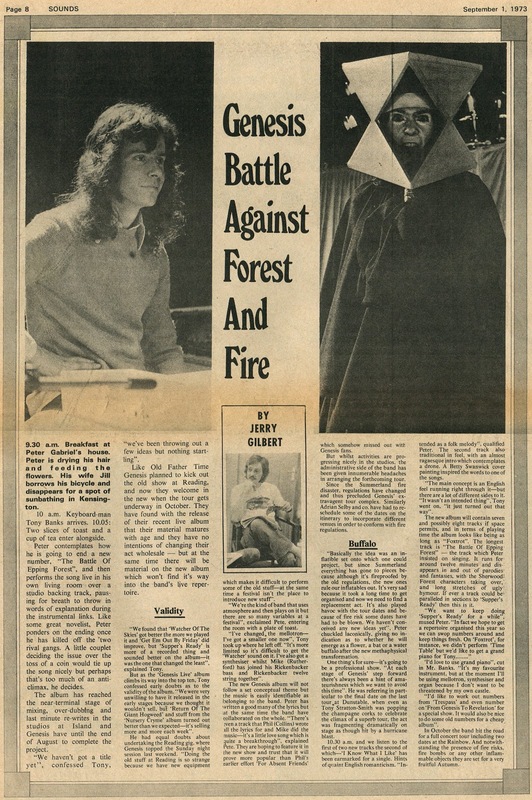 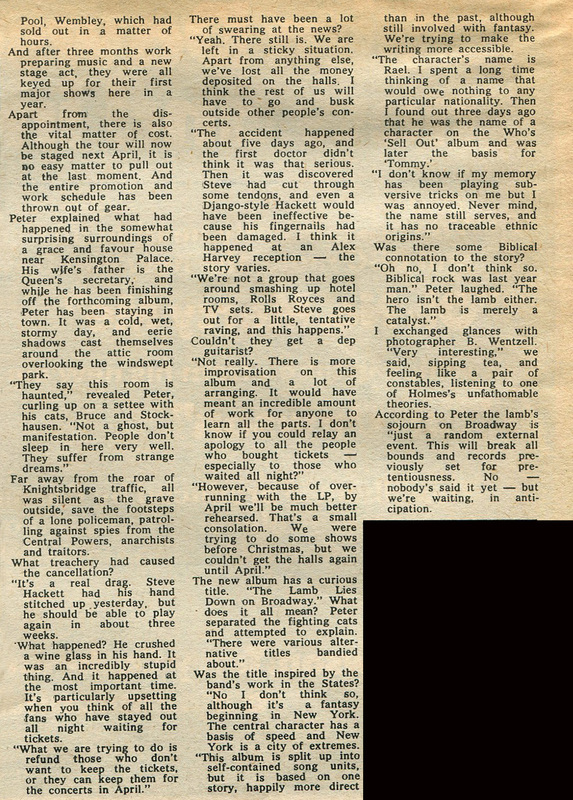 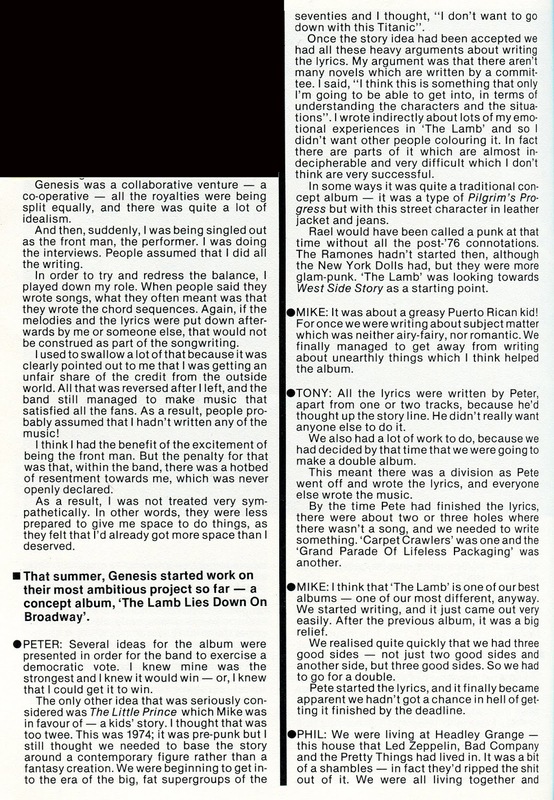 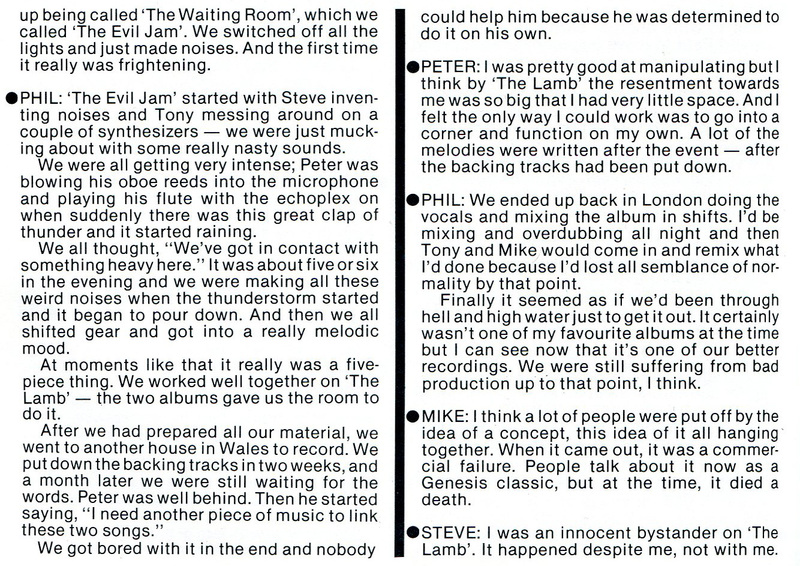 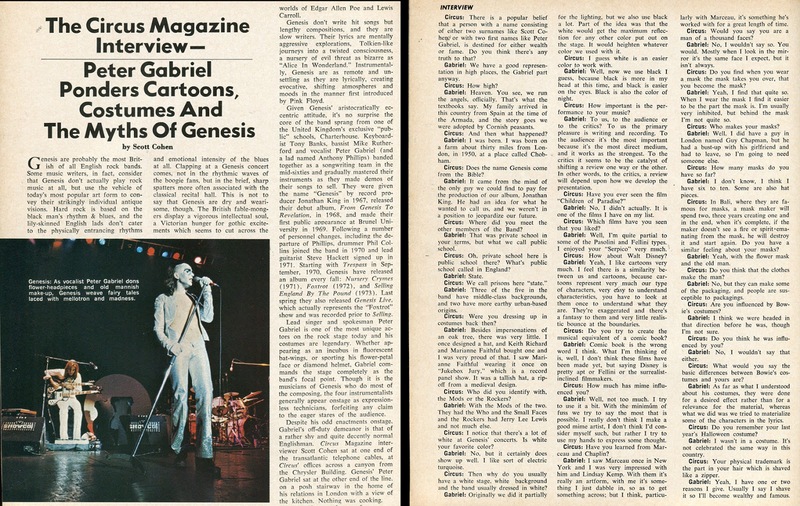 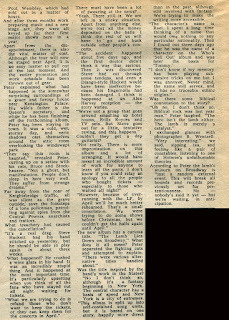 Rolling Stone - January 2, 1975.
about the making of "The Lamb..."
and why Peter Gabriel had to leave. 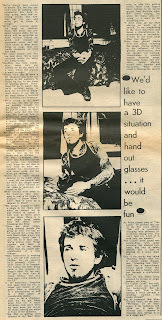 and what he is doing now. 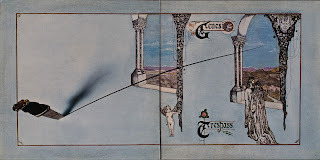 Their first album, "Genesis To Revelation"
Their third album, "Nursery Cryme"
Their fifth and only live album.